This story stars Peter Piper and his incorrigible brother Max in a tale about jealousy, betrayal and revenge. Set in two distinct time periods, prepare to travel back to medieval times and learn the tragic back-story of the Piper family, a medieval-era family of traveling minstrels. Then, jump into the present to follow a tale of espionage as Peter Piper slowly hunts down his evil brother for a heinous crime, pitting Peter’s talents as a master thief against Max’s dark magical powers. Based on the long-running and award-winning comic book series FABLES, PETER AND MAX is its own tale. Readers don’t have to be familiar with the comics to fully enjoy and understand this book. As you all know I love, love, LOVE Bill Willingham and his Fables! When I heard Bill Willingham had another piece of literature coming out I was very excited. Upon further reading I found that this was a novel set in the Fables land and that it would provide some background to different characters such as Bigby wolf (marry me?) and Frau Totenkinder so clearly I had to own it! Peter and Max is the story of two siblings, Peter and Max Piper, the sons of a traveling family of minstrels. The story alternates between the present, where Peter and his wife Bo Peep are living in a quiet area of Fabletown and the past, where both Peter and Max partake in many adventures and trials that mold them into the adults they become. In the present day, Peter gets word that his evil brother Max has resurfaced in their world and takes off to find him and kill him once and for all. The flashes from their childhood shows the friendships between the Piper and Peep family, especially the close ties between Bo and Peter. One evening, Peter’s father gives him the magical flute, Frost that has been handed down to the eldest son in each family for generations. The only problem is that Peter is not the eldest brother, Max is. Peter is the best musician, which is why their father deems him worthy to wield Frost, but Max becomes extremely jealous and soon hatred starts to eat away at him. Soon, the families are forced to flee due to the Adversary’s men infringing on their land and the families become separated in the Black Forest. Peter grows into a courageous, well-rounded man and eventually finds some sense of peace. Max, on the other hand, meets up with an ally who gives him his own flute, one he names Fire, becomes the famous Pied Piper of Hamelin and seeks to kill both Peter and Bo. One of the best things about this book is the way in which Willingham takes what would be considered nursery rhymes and twists them into something dark, mysterious and epic. Willingham manages to re-write Peter Piper, who both eats a pickled pepper and stuffs his wife in a pumpkin shell, the story of Little Bo Peep, who does lose her sheep in a rather dark way, and the Pied Piper, who rids the town of more than rats; while also introducing new plots and background stories for beloved Fables characters before they changed their ways to fight on the side of good and not evil! A fun side note: I am pretty sure that McTavish from Down the Mysterly River makes a silent and brief cameo in this book and I couldn’t help but smile. Though I don’t think Mr. Willingham should put aside his Fables and work strictly on novels I have to say that I loved this book and I believe that it would be enjoyable to readers who haven’t read and loved his Fables series. 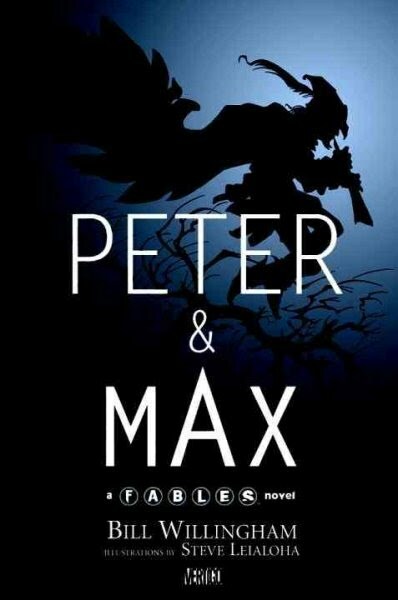 However, for those of you who have read Fables and are picking Peter and Max up for the first time you should know this book fits in right after Fabletown’s attack on The Adversary and Peter and Bo both play their own parts in the war by the end of the novel. 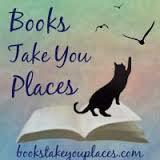 This entry was posted in Reviews, Young-Adult and tagged fairy tales, fantasy, graphic novels, magic, retellings. Bookmark the permalink. Yay! I can't wait to read this one, I'm saving it for when I'm hankering bad for some Fables. Glad to hear you liked it!